A French woman, Marie-Marthe Dortel Claudot, is known as the leader and founder of the movement. She invited a French bishop, Pierre Marie Theas, to be the first Bishop President. While in a German war prison camp in Compiegne, Bishop Theas had already begun to pray and work for reconciliation. To read detailed history of Pax Christi International, click here. 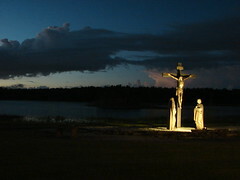 Pax Christi in the U.S.
Pax Christi began in the United States in 1972, thanks to the initiative of a tiny handful of U.S. Catholics, mostly lay. There was no national office or full time staff person until 1979, and then the entire office was set up in two spare rooms of a Chicago convent. The national office moved to Erie, Pennsylvania in 1985 and remains there today. Pax Christi is active in more than 30 countries, with a growing presence in Latin America and Africa. The international office and staff are located in Brussels, Belgium. Pax Christi has consultative status as a non-governmental organization (NGO) at the United Nations. Wherever they live throughout the world, members of Pax Christi are united by their purpose, which is expressed in the international statutes: “to work for peace for all humankind, always witnessing to the peace of Christ.” They do this through prayer, study and action. In 1982, speaking at Coventry Cathedral in England, Pope John Paul II said, “Like a cathedral, peace must be constructed patiently and with unshakable faith.” Membership in Pax Christi enables many Catholics and other Christians of all walks of life to help build the cathedral of peace. 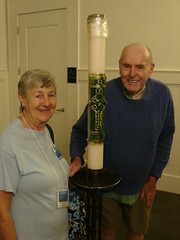 Pax Christi Florida was founded in 1982 by John and Patricia Frank. 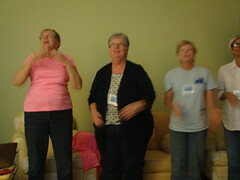 For a list of Pax Christi local chapters and contacts, click here. 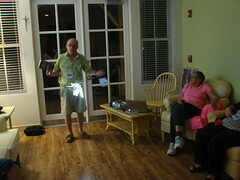 Barbara Richardson of West Palm Beach, FL presently serves as PCF’s coordinator. 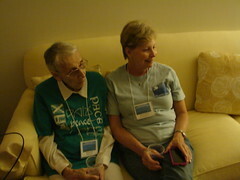 Pax Christi Florida celebrated 25 years of peacemaking at their 2007 Statewide Assembly which was held in Gainesville at the St. Augustine Catholic Student Center on October 20 and 21 . Pax Christi Florida was deeply honored to have Bishop Thomas Gumbleton – prophet, visionary, peacemaker – a man of uncommon integrity and courage who’s life is lived in prophetic witness to gospel nonviolence, peace, and justice as its honored guest and speaker throughout the weekend. More than 100 Pax Christi members and friends from around the state participated. During the weekend seven members – founders and early organizers – were recognized as “Prophets of Peace.” Those honored were Marilyn Elsen, John Frank, Patricia Frank, John X. Linnehan, Martina Linnehan, Gwen Umlauf, and Tom Umlauf.